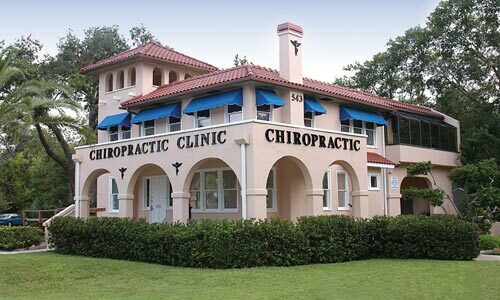 ​Daytona Chiropractic Clinic in Daytona Beach, FL provides care to patients from Dr. Matthew Hill DC. Daytona Chiropractic Clinic is open until 8 PM during the week Tuesday thru Friday. The clinic provides treatments and therapies for patients suffering from Neck Pain, Back Pain, Whiplash, Headaches, Pinched Nerves, Low Back Pain, Sciatica, and Auto Accident Injuries. Call our office at (386) 253-1113 for an appointment today! Dr. Matthew J. Hill is a Chiropractic Physician, that provides chiropractic care and treatments to patients suffering from neck pain, back pain, whiplash, headaches, muscle tension, low back pain and sciatica, disc pain, vertigo/dizziness, including patients with Auto Accident Injuries. Chiropractic is a natural, proven method of diagnosing and treating auto accident injuries.